Calls for a pied-à-terre tax have increased since billionaire Ken Griffin closed on a penthouse at 220 Central Park South for over $239 million. The sale shattered the existing record of the most expensive home sold in the US by $100 million but Griffin will only be using the residence as “a place to stay when he’s in town.” City Council Members Mark Levine and Margaret Chin recently announced support for a bill that was first drafted by Sen. Brad Hoylman five years ago, which would place a yearly surcharge of 0.5% to 4% on secondary residences worth more than $5 million. 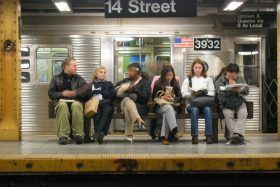 In a statement released on Wednesday, State Budget Director Robert Mujica added his support, stating that a pied-à-terre tax could be combined with other revenue solutions to help fund the Metropolitan Transportation Authority’s $40 billion in capital needs. 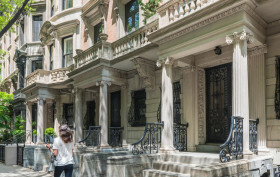 Update 2/26/19: Council Members Mark Levine and Margaret Chin announced on Monday that they plan on introducing a resolution in support of the pied-à-terre tax, as amNY reported. The tax would be modeled after the measure sponsored by State Sen. Brad Hoylman and apply an annual surcharge on non-primary homes worth more than $5 million. 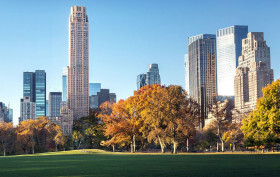 Last month, billionaire Ken Griffin closed on a penthouse at 220 Central Park South for over $239 million, making it the most expensive home ever sold in the United States. Griffin, the founder of the hedge fund Citadel, said he will not use the pricey pad as a primary residence, but instead as “a place to stay when he’s in town.” The staggering sale has renewed support from public officials for a pied-à-terre tax, which would place a yearly surcharge on homes worth $5 million and up, and apply to non-primary residences, as reported by the New York Times. In a city as pricy as New York, it’s no surprise the buildings here pay some of the heftiest property taxes in the country. And that’s overwhelmingly what Commercial Cafe has found in their Top 100 US Property Taxes in 2017 ranking, released this week to mark the end of tax season. 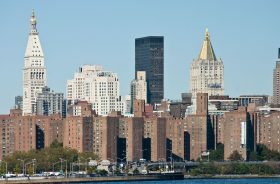 New York, the report states, has an “overwhelming presence in the mix,” as 78 of the top 100 U.S. taxes belong to properties located across the state. In 2017, those buildings generated $2.2 billion in property tax revenue, accounting for 82 percent of the total contributed by all 100. (Buildings are mostly offices, alongside some mixed-use, retail, hotel, entertainment and residential properties.) While the top spot was claimed by an industrial property in Fort Salonga, New York — which pays a whopping $82 million of property taxes a year — the next 19 buildings are located here the city and include Stuyvesant Town, pictured above, and the Metlife Building. 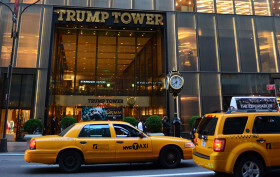 While this week marks just the third time President Donald Trump has visited New York City since his January inauguration, property taxes he filed after the election designate Trump Tower as his primary residence. As the Real Deal reported, Trump will save $45,000 by calling his penthouse his main home, utilizing a tax credit known as the “coop condo abatement.” The credit can be used by owner-occupied co-ops and condos and takes off 28.1 percent of property taxes for the unit. Because of the tax abatement, the president has saved a little under $200,000 on his taxes over the last five years. Billionaires get off nearly tax-free and billions go uncollected due to flaws in the way the city assesses property value. 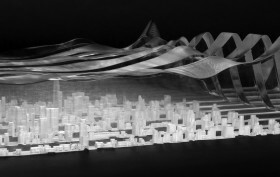 As part of a new exhibit at the Storefront for Art and Architecture in Soho, interdisciplinary architecture firm SITU Studio created visual representations of these inequities in one of their most glaring examples: the buildings along Central Park. New York City’s property tax structure assigns higher real property taxes to renters than it does to the infamous absentee owners of the trophy condos on Billionaires’ Row, short-changing the city of millions in annual revenue, according to CityLab. The acrylic bands in the SITU models show the disparity between the taxed value of these properties and the sky-high amounts they’d actually sell for. Back in March, we learned that the owner of the $100 million apartment at One57 (the most expensive sale ever in the city) pays only $17,268 in annual property taxes– “or 0.017 percent of its sale price, as if it were worth only $6.5 million,” as we noted. “In contrast, the owner of a $1.02 million condo nearby at 224 East 52nd Street is paying $24,279, or 2.38 percent of its sale price.” Why does this happen? It’s in part due to the 421-a program, which offers tax breaks for the inclusion of affordable housing and “lowers the billable-assessed value of a property to incentivize real-estate development,” according to CityLab. It’s also thanks to the city’s haphazard system for assessing market values of condos and co-ops. 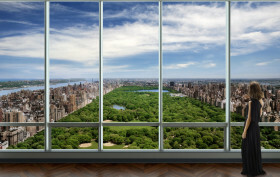 Remember the $100 million apartment at One57, the most expensive ever in New York City? Well, the (presumably) billionaire buyer pays just $17,268 in annual property taxes on the unit, or 0.017 percent of its sale price, as if it were worth only $6.5 million, according to the New York Post. In contrast, the owner of a $1.02 million condo nearby at 224 East 52nd Street is paying $24,279, or 2.38 percent of its sale price. 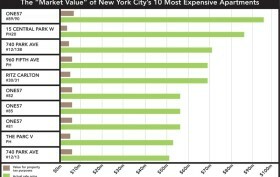 This is just one example of the fact that the owners of the city’s ten most expensive apartments pay effective rates that are unbelievably lower than those paid on cheaper properties. How is this possible? It’s in part due to the 421-a tax abatement, but more so due to the city’s convoluted method of assessing market value for condos and co-ops.